These are ex show dogs, so have never been pets.So the criteria is the same for all of them, patient experienced homes only. No children, they are far too nervous. They are all lead trained, but some are more confident than others. Toilet training, they are likely to go back when moving to there new homes, so if you are precious about your carpets, these arent the dogs for you. Quiet rural homes, they arent used to traffic, be prepared to use a extremely secure harness when out walking. These dogs may never be able to go off lead, so if you arent a lead walker, please dont apply. 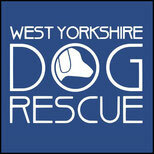 Our experience is that it can take 6 months to settle, so if you want a ready made pet, please dont apply. Little George is 18 months old and the more confident of the three, he loves his walks and can be a little anxious when first meeting new people. Very dog friendly and George just wants to please everyone. Big George is 4 yrs old and a very nervous boy, out and about, he needs time to settle. Hes such an affectionate boy, but needs a quiet home, with just one other female dog. Grooming costs need to be taken into account, all will need grooming every 8-10 weeks.